Support automatic or mixing of songs. One-click beat-matching and sync, automatic BPM counter. Support video mixing (mpeg, avi, mov, mkv, wmv, mp4). 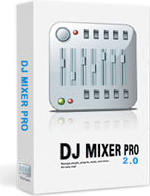 DJ Mixer Professional for Mac is a smart, and most flexible beat-matching and DJ mixing software on the market! It gives you powerful and innovative tools to creatively mix your music with ease. 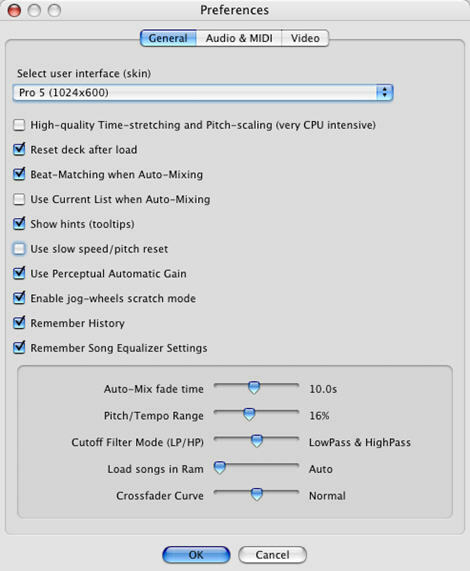 It has a very advanced BPM detection that will help you synchronize your tracks. It's very easy to set a cue-point and start your song exactly wher you want. Beat-matching two tracks is also made easier by using the virtual record to speed a song up or down. Compatible with iTunes playlists, mix your favorite playlist from iTunes with seamless DJ-style transitions. You can use external hardware controllers, MIDI controllers, VST/AU effect plugins, sampler. 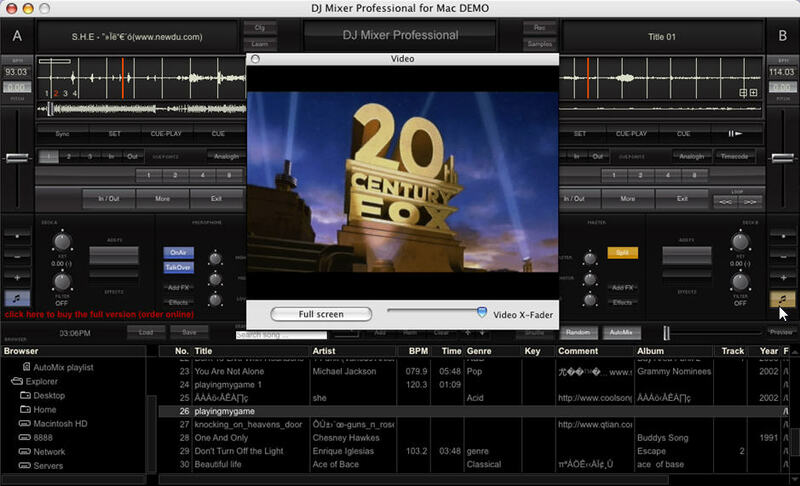 DJ Mixer Professional is now fully compatible with Mac OS X 10.6 (Snow Leopard). One-click beat matching and synchronisation. Record your mixes to AIFF and WAV file. M4A to MP3 Converter convert M4A files to MP3, MP4 to MP3. Mac Video Converter Convert any video with super fast processing speed. VinylStudio convert your old vinyl records or cassette tapes into MP3 or CD. TS-AudioToMIDI record any signal played through your sound card into Mp3, Wma, Wav files.